Get Started with ABA Programming Today! A CARE Board Certified Behavior Analyst (BCBA) visits the home to assess the needs of the client through direct observation, assessment tools, and interviews with the primary caregivers. This assessment can include any other personnel the caregivers feel necessary (e.g., teachers, respite workers, other outside therapists). The CARE ABA Intake Packet is used to plan the initial assessment. 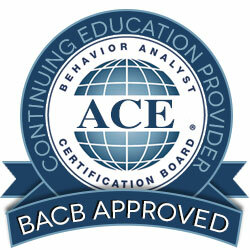 After the initial assessment, our BCBAs will create an individual treatment plan specifically for you child. Treatment plans are implemented by a skilled behavior technician. The behavior technician also collects data to evaluate the plan’s effectiveness. Sessions will be at least 2hrs of direct therapy at minimum. Sessions are scheduled collaboratively between the parents and the therapist at times most convenient for the family. To ensure successful implementation of your child's program, the supervising BCBA will come into the home monthly to bi-monthly to observe the behavior technician(s) working with the client. These group meetings update progress on the behavior plan, add new goals, and answer any questions/concerns the caregiver has about the existing treatment plan. These meetings will be outside of therapy and supervision meetings. They will be held specifically to discuss preparation for ARD committee meetings The BCBA will attend ARD committee meetings with the parents as needed. We carefully design each behavior plan to teach our students appropriate behavior and independent skills. We begin by extensively evaluating your child’s current communication skills, barriers to communication, as well as his or her pre-academic, social and self-help skills. From this we can form the basis for your child’s individualized treatment plan. CARE behavior technicians are trained to use evidence-based practices and make data-based decisions to ensure that your child’s treatment is successful. Treatment plans employ, but are not limited to, evidence-based intervention methods such as Applied Behavior Analysis (ABA) Principles, Verbal Behavior, Discrete Trial Training, Incidental Teaching, Natural Environment Teaching (NET), Positive Behavior Support, Fluency Building, and Picture Exchange Communication System (PECS). Questions? 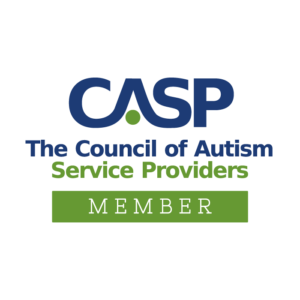 Contact us to learn more about CARE's ABA Programming services. CARE ABA Programming also includes BCBA observation and/or behavior technician support in your child's daycare or school setting. When permitted by the school, the supervising BCBA will observe the child in his or her educational environment. This helps us to ensure programming is consistent across all settings. In some cases, schools will allow the behavior technician to work with the student during the school day. Through this service, the behavior technician is able to model intervention techniques for the school staff as well as work with the client on behavior, social and academic goals in the school setting. These services are available on a case-by-case basis. The Admission, Review and Dismissal (ARD) and Individual Education Plan (IEP) Meetings determine or change educational programming for students with disabilities are referred to in many different ways across states. Required attendees for this meeting are an administrator, diagnostician, general education teacher, special education teacher and the student’s parent(s). Additional personnel are sometimes brought in for the meeting if they are integral to the student’s school day or directly requested by the parent. CARE can help you prepare for these meetings (additional charges may apply for this service).